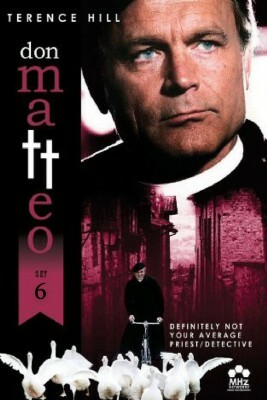 Terence Hill (famous for his partnership with Bud Spencer in spaghetti westerns such as They Call Me Trinity and My Name is Nobody) stars as Don Matteo, a thoroughly ordinary Catholic priest with an extraordinary ability to read people and solve crimes. He’s a parish priest who never met an unjustly accused person he didn’t want to help. In fact, he never met anyone marginalized he didn’t want to help: the elderly, the homeless, the immigrant, the unemployed. He sees them all as he bicycles along the streets and through the countryside of his parish.